Christian was with the youth set up at Doncaster Rovers, when he signed his first professional contract with Northampton Town in July 1995. Despite being a hot prospect, his appearances were limited during some four years with the Cobblers. He scored ten goals in some 63 appearances, before a £35,000 move to Division Two side Gillingham. A serious knee injury meant he had to sit out most of the season where the club gained promotion via the play-offs. In order to gain fitness, he went on loan to Rochdale and Leyton Orient the following season, before making a move to Bristol Rovers. He was released after a couple of months and went into non-league football with Farnborough Town at the beginning of the 2001/2002 season. 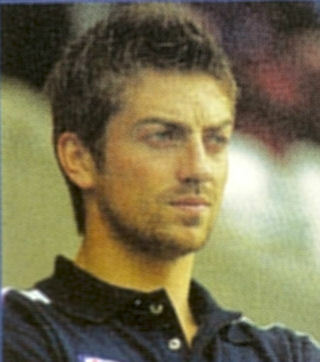 Lee arrived at Nene Park on a one month loan deal at the start of October 2001 and was one of a number of strikers brought in on trial by Brian Talbot. After the 7-1 defeat at Cardiff however, he returned to Farnborough, and subsequently went to Eastwood Town, before returning to Farnborough Town the following season. He moved to Halifax Town in May 2003 and spent two years with the Shaymen, but a back problem meant he had to end his career prematurely. His good looks have provided him with some modelling work during his career.